If one word could be used to describe Analytic Focus, it would be service. We strive to provide excellent service to our clients, to operate in an environment of servant leadership while empowering and engaging our employees, and to support the communities in which we are privileged to work by sharing of our talents and resources. The last aspect of our service, community involvement, reflects our recognition of the importance of civic engagement. 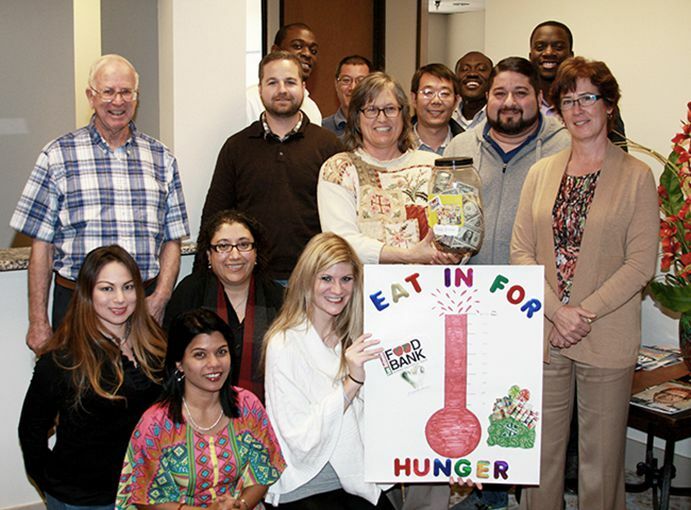 Analytic Focus employees are passionate about helping others. We reach out to the local and national communities in numerous ways. Employees organize charitable activities for the holidays, employees engage in additional paid volunteer days, and we perform pro bono assistance. 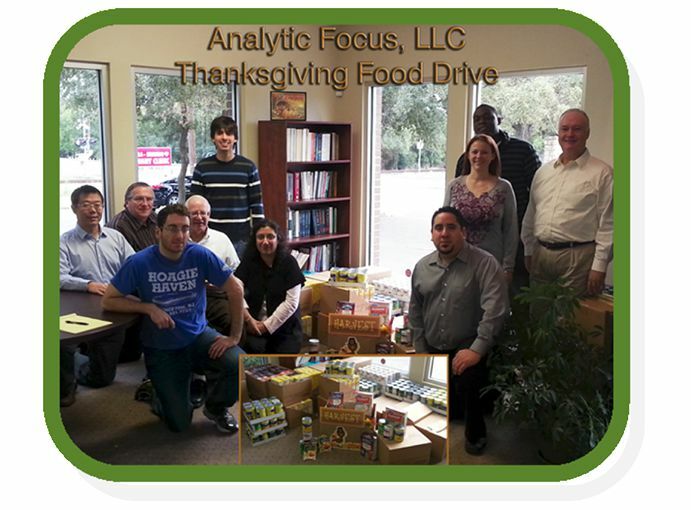 Thanksgiving and Christmas are especially important times at Analytic Focus for our local communities. 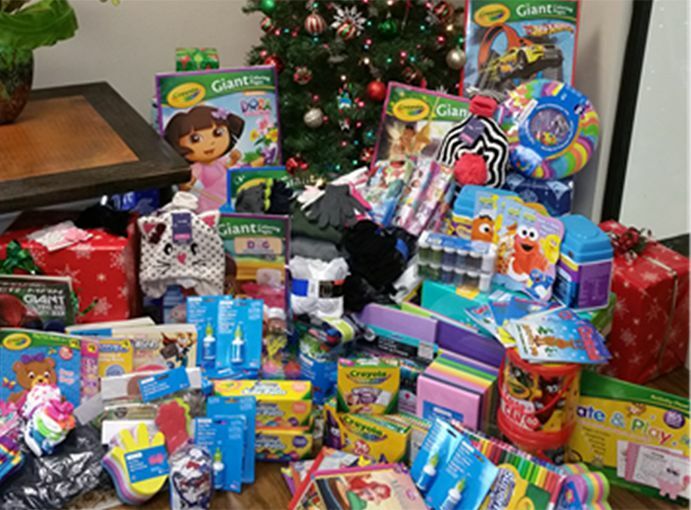 The employees in each office identify a specific charity and join together as a team to provide for the needs of that charity both at Thanksgiving and again at Christmas. Every office has a designated community service leader. 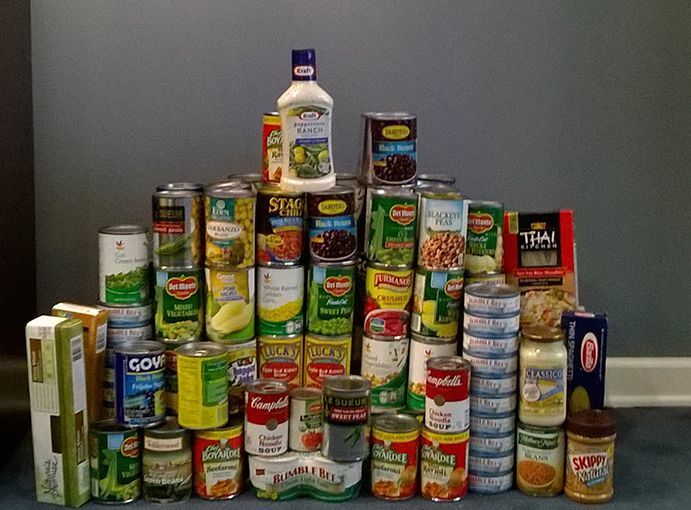 As would be expected, Thanksgiving is often focused on food related giving. 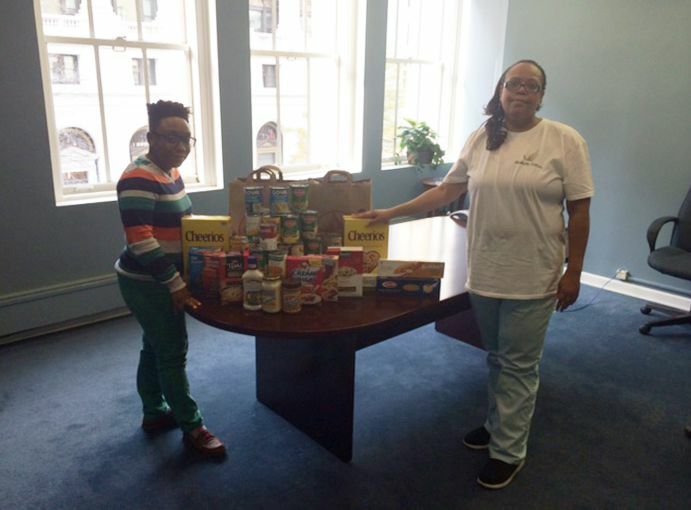 Frequent recipients include the Food Bank of Washington, D.C., the Christ House, a homeless men’s shelter in Alexandria, VA and the Daily Bread Ministries in San Antonio. The employees generally give both food and monetary contributions and the owners of the firm match the contributions one for one. 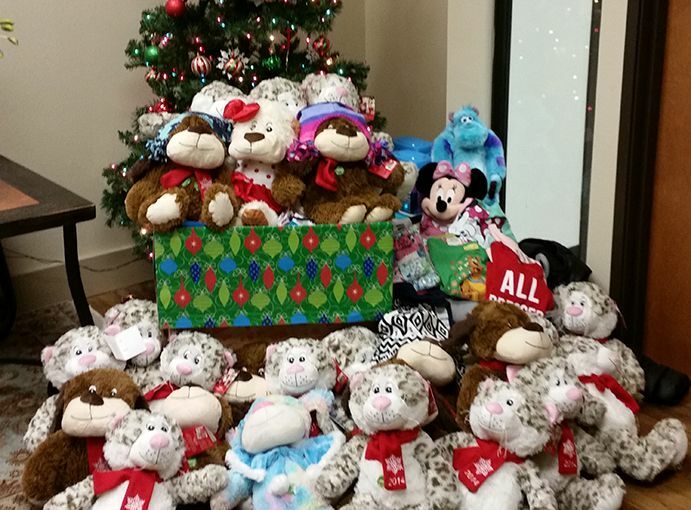 Christmas giving endeavors generally engage everyone at a more personal level with the adoption of underprivileged families or foster families or veterans. 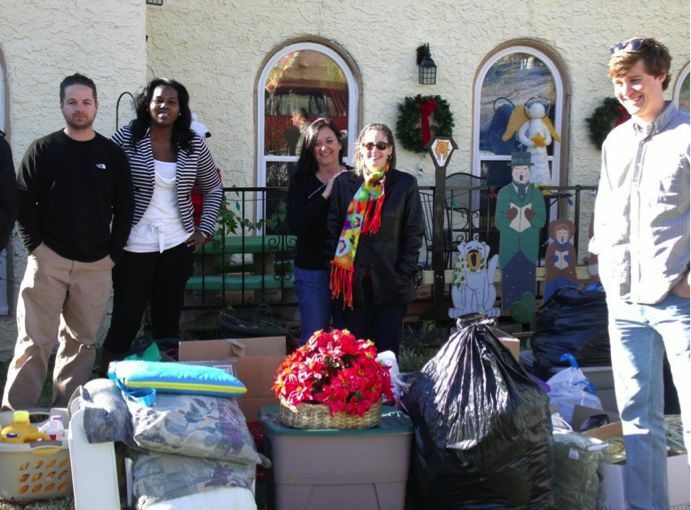 An example includes donations to Three Hots and a Cot in Birmingham, Alabama. This not-for-profit organization provides housing opportunities to veterans who have for one reason or another found themselves homeless. This is only one example. 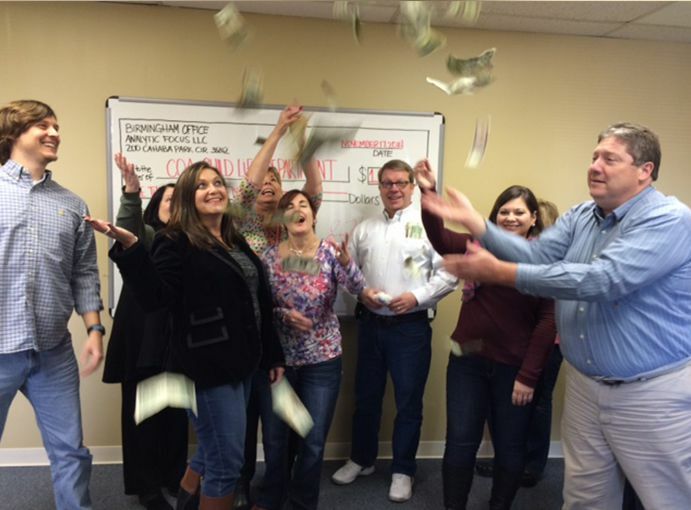 We join together to serve many charities and end up receiving so much more than we give. Our newest community endeavor is the creation of service days for employees. 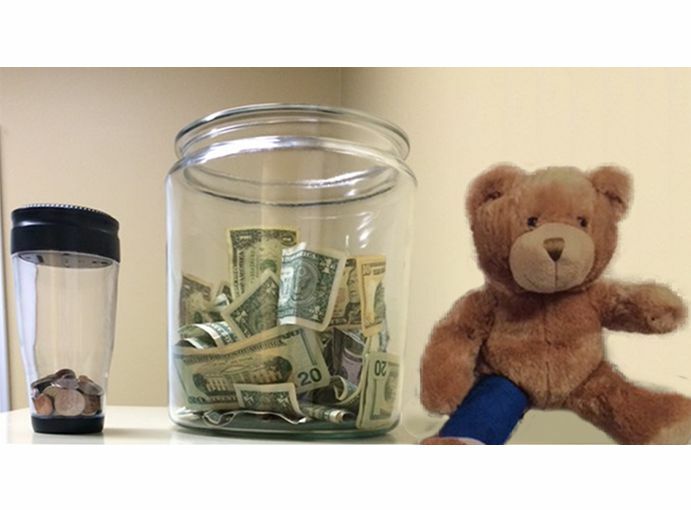 The firm teams with specific charitable organizations in each city in which we have an office. 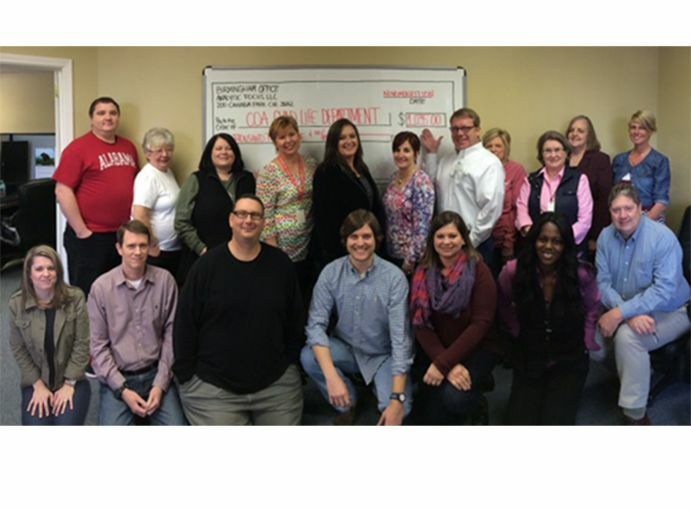 We provide employees with a paid volunteer day to volunteer their time to those local charities through organized service days. Our community service leader coordinates these opportunities. We hope to expand these opportunities as we grow as a firm. Finally, we have unique opportunities to use our expertise to provide pro bono services to underserved communities and not-for-profit organizations. We selectively take cases at the request of various law firms to perform expert testimony services related to important issues, such as education or disability. We leverage our skills to perform free expert testimony services in situations where we are uniquely qualified to support litigation cases for those with limited access to such services. In addition, we sometimes receive requests from not-for-profit organizations. We accept a limited number of these requests if we have the capacity to serve effectively and to the degree that the requests are consistent with our values. For example, we provided the Civil Rights Institute in Birmingham, Alabama with an economic impact study that the organization used to provide to potential donors. Extending the talents we have within Analytic Focus to serve our community is an important part of our overall purpose as an organization. We have enjoyed tremendous growth as a firm since we opened our doors. It is only right to share our good with those around us.